Billie Pearl Bradshaw passed away peacefully on Sunday, May 24th, 2015 in Mesa, Arizona. She was 86 years young. She was born in Mesa, on April 24th, 1929. She grew up in Pine, Arizona and moved back to Mesa after high school. Billie graduated from Boulder City, Nevada High School in 1945 as class valedictorian. She has four daughters, Nelda (Rey – deceased) Nelson, Kathy (Conrad) Alvarado, Diane (Hoke) Holyoak and Laura (Phil) Montalvo. She has 19 grandchildren, 52 great-grandchildren and 6 great-great-grandchildren. Mother worked for many years at Valley National Bank on Main Street and McDonald in Mesa. She started as a bookkeeper and when she retired in November 1984 she was the Vice President of Operations. After she retired mom served two full-time missions and one part-time at the Family History Center. She also worked in the baptistry of the Mesa Temple for many years. Mom loved writing in her journals and doing family history. She also taught in all the auxiliaries and was a primary teacher when she was 80 years old. She was an avid Yankees fan and watched every game she could. Mom was the happiest when her kids and grandkids were around. She loved having them at her house. She had wonderful Christmas parties and Halloween carnivals. A visitation will be held on Monday, June 1, 2015 from 6-8 PM at Bunker’s Garden Chapel, 33 N. Centennial Way, Mesa, Arizona. Funeral services will be Tuesday, June 2, at 10 AM at the LDS Lazona Ward, 1500 East 6th Avenue, Mesa, Arizona. 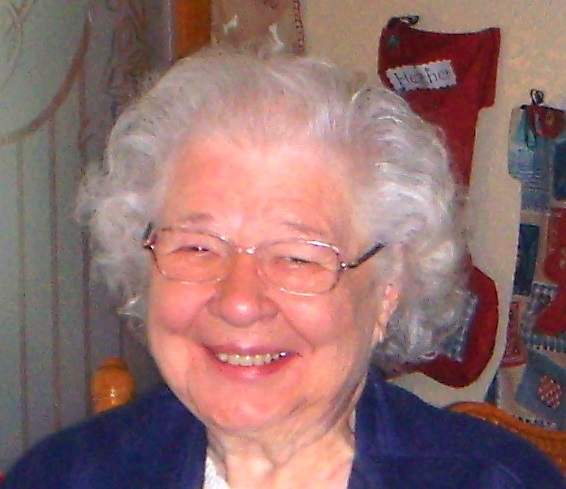 Grandma Billie……You will be missed by so many! Our heartfelt sympathy goes out to the family and friends .May God Bless you all.